The great folk in WGU IT have been busy. Among the many things they've been up to is the creation of yet another new system for serving data to the student portal. This new approach is even faster (nice job! ), and like other new things will be phased in for students over time. Some of you, especially those who started classes this month, are already using this new version. 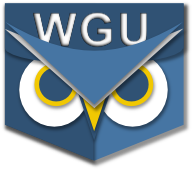 If you are also using PocketWGU, you may have noticed that your "Degree" or "Courses" tab is blank. Oops! That's on us. We've published a fix for this in PocketWGU for Android version 1.9.1. You should upgrade to this version as soon as possible if you use an Android device (including the Kindle Fire). For those of you on iPhones and iPads, PocketWGU for iOS 1.7.1 is now available.